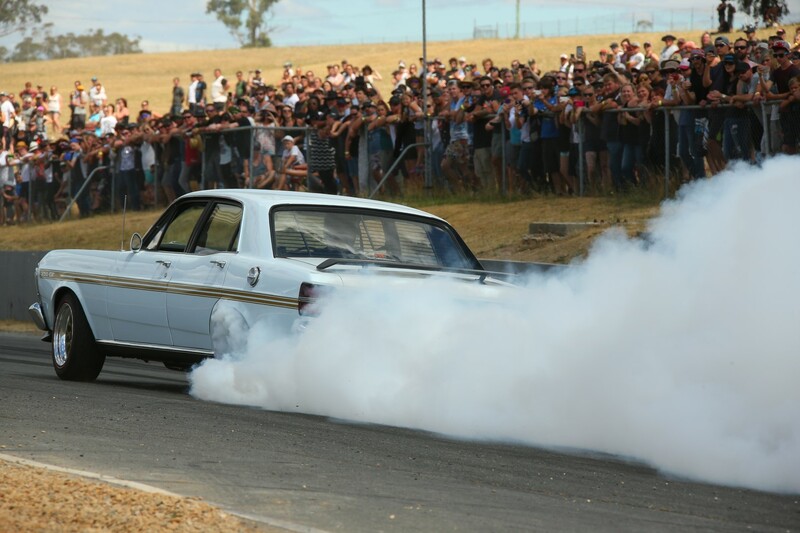 The annual pilgrimage to Powercruise Symmons Plains Raceway is on this weekend, for 2 days of Powercruise Good Times, camping out with your car & crew trackside. To help you get ready for your visit to Powercruise, be it for just a day or the whole weekend, we’ve gathered all the handy info you need so take check it out as your questions are probably answered right here! Want to Enter your car? Online Entry has now closed so we can prep all of our pre paid entrants arrival at Powercruise Symmons Plains Raceway. But it’s never too late to enter. YES!! You can just roll up and enter on the day. If you are entering on the day, just bring yourself, your drivers licence and your car to Accreditation to fill out the forms and enter. Entry on the day is $250, that covers Driver and Car for all days of the event (Sorry we do not offer a 1 day Entrant option). You must be 18 and over and have a drivers licence to enter. Also check out the event program for opening hours! Don’t know where to go? Event Map Below! Want to Enter VIP On the day, VIP packages with and without garages are available, and can be purchased at our VIP Accreditation, which will be located at the Telstra Tower in the Pits. Have you paid and not received a confirmation? Unfortunately sometimes people make payment by bank deposit and forget to send us their forms! Or maybe you spelt your email address wrong on your entry, but no worries! If you’ve made a payment to our office and not received confirmation please contact us ASAP! We have bookings open for multiple events all year round, so without your booking form we don’t have any contact details and no info on what you have bought or for which event! ViP Entrants we have mailed all ViP Packs to Pre-paid ViPs and will email you leading up the event to make sure everything is in order for you and information to get you in and processed quickly. Please take a minute to open your pack and get familiar with what we have sent you before you get to Powercruise, and its very important that you bring this pack with you to the event. Our VIP Staff will email you leading up to the event to get everything you need sorted and ready for you so please keep an eye out on your email leading up to the event. Yes you can enter VIP on the day if you want, just call us ahead so we can give you instructions to get you in as quick as possible! As always, Tickets are available at the gates as always. Come prepared with cash as phone service/eftpos facilities can be very unreliable. Also you can bring out you own snacks and drinks, just no glass and no alcohol please. Alcohol will be confiscated, so please do the right thing and leave it at home. CLICK THE ONLINE BOOKING BUTTON AT THE TOP OF THIS PAGE TO BUY ETICKETS ONLINE BEFORE THE EVENT & ON THE WEEKEND. Want to sign up as a passenger? Passenger rules & requirements HERE Please take a minute to check the rules to avoid disappointment on the day. Grab your Discounted Day Passes on our website prior to the event, or you can also buy tickets at the gate on the day or online on the day. E-tickets available online now HERE get in early to make the most of the pre paid ticket discounts. Once you have your tickets, we can scan your E-tickets off your phone screen so you don’t have to print the tickets. Be aware we cannot scan off a cracked screen though, so if you’re phone as seen better days maybe print them. CREW COMING OUT TO CAMP? On site camping is available, camping fees apply, You must have a Entrant Or Camping ticket for vehicle access in to the grounds. So are we! But as you all know, we are not in control of the weather, nor can we predict it – we look at the same weather apps you guys do! So here’s what happens, Powercruise Weekend is on rain or shine, we will run as much as we can safely either during or between any weather that comes our way. So we may adjust the program to suit, just listen to the PA for announcements. As always, if you have any questions or are unsure on anything about anything you’ve seen here, just call / text 0407 172 413, drop us an email, shoot us a Facebook Message, or send us a message through the contact form below (please be aware we are unable to answer contact form enquires over the weekend – these will be responded to next week). See you all out at Powercruise Symmons Plains Raceway!